Both the DROIDX2 and DROID Bionic are now supported by ROM Manager thanks to @koush and @cvpcs. You will need to be rooted and then bootstrapped in order to use it, but you probably already knew that. Official Bionic bootstrap should be out soon – the current version works just fine for now though. 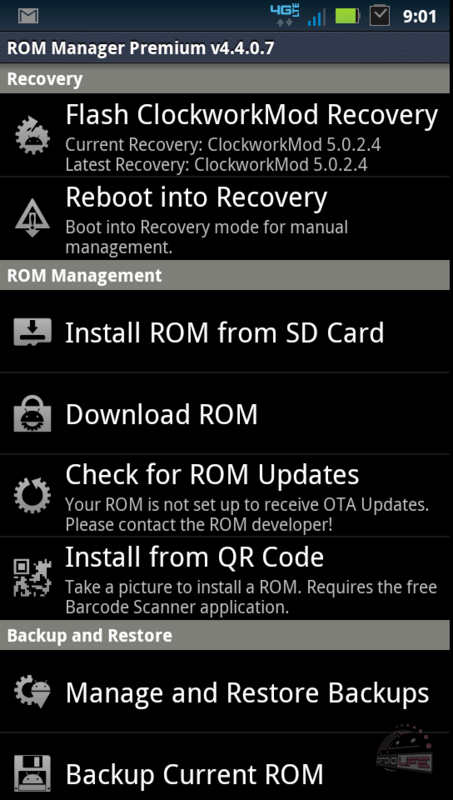 For those new to ROM Manager, simply look at this as one of your best tools when it comes to switching ROMs, managing backups, and taking care of a variety of root-only tasks. One of the top 5 apps for rooted devices of all time, right here. Now we just need a whole bunch of ROMs to play with on both devices. Cheers MistaWolfe, Mike, and Kevin!